Poet, novelist, essayist, former diplomat and translator from French. He writes in both Czech and French. He has received numerous awards for his works in both the Czech Republic and France, in 1999 he was named an Officier des Arts et des Lettres. He was awarded the Tom Stoppard Prize (2004) as well as the Josef Jungmann Award for translation (2001). He was born in Kladno on 27 November 1949. He attended the Lycée Carnot in Dijon from 1966 to 1969 and afterwards studied French and comparative literature under Professor Václav Černý at Charles University’s Faculty of Arts in Prague. He made his literary debut in France with the French prose work Traité des courtes merveilles (Treatise on Brief Wonders). The text borders between essay and fiction and analyses conventional taboos in art, politics and sexuality. Jamek is himself openly homosexual. The book won the prestigious Prix Médicis essai (1990). He made his literary debut in Czechoslovakia with the samizdat collection Kniha básňů převeršovná již vlastnodušně protrpěl a v řeč svázal Eberhardt Hauptbahnhof, básník český (A Book of Versified Poetry, Personally Endured and Bound into Language by Eberhardt Hauptbahnhof, a Czech Poet, Edice Petlice, 1988) – he later also often used the pseudonym Eberhardt Hauptbahnhof. 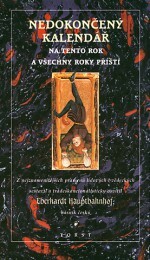 A year later Surový stav (Raw State, 1989, officially by Československý spisovatel in 1995) was published. Jamek is first and foremost a postmodern writer whose works combine parody, satire, hyperbole and paraphrasing. In the play Hlavo žvejkavá (Chewy Head, samizdat, 1990) he develops “stylistic and linguistic experiments in drama”, in the fragmentary Nedokončený kalendář na tento rok a všechny roky příští (An Unfinished Calendar for this Year and all Following Years, Torst, 1994), written mainly in the 1980s, “he created a travesty of traditional religious and folk calendars and connected them to fictional portraits of saints, all of which he interlaced with parodies on advertising”, wrote academic Kateřina Bláhová. An essential part of his essay work is Krkavčí múza (The Raven’s Muse, Odeon, 1992), which was written in the 1970s. The essay O prašivém houfci (The Mangy Crowd) explained people’s responsibility towards literature and aesthetics. Literatura, homosexualita, AIDS (Literature, Homosexuality, AIDS, Torst, 2001) examines homosexuality from a literary and historical perspective, and is a seminal work of its kind. 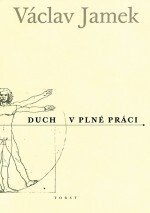 The almost one-thousand-page collection Duch v plné práci (A Spirit Hard at Work, Torst, 2003) summarizes the best of Jamek’s previous work. 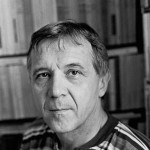 Václav Jamek has also made his literary mark as a translator – he has translated the Nobel Prize winners Patrick Modiano, Georges Perec and Henri Michaux – and he won the Josef Jungmann Award for a translation of a Michaux anthology in 2001.